Collecting eggs for hatching requires special care. Before hatching fertile eggs in an incubator they need to be treated with respect. Sometimes you have only one hen laying that you plan on hatching out the eggs from, so it can take a long time to collect enough for a clutch. 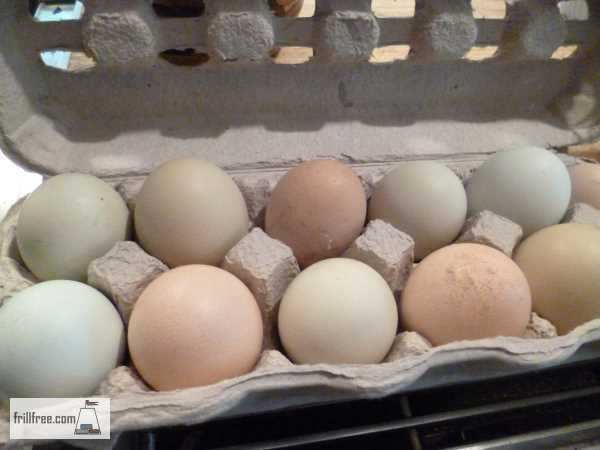 There is no problem with putting eggs from another hen, or even several hens to make up a decent sized clutch. She'll merrily try to hatch anything that even seems like an egg - even golf balls! It's essential that you have a rooster to fertilize the eggs, as they won't form an embryo without this important step. One mating can fertilize up to six to eight eggs, which are all in place ready to go, like a cluster of grapes. They don't form a shell until the day they are laid, they just have a soft membrane. Fertile hatching eggs collected and stored correctly will be viable (hatchable) for up to ten weeks, though it’s recommended that you set them under the broody bantam hen or in an incubator within two weeks. If you plan on putting them in an incubator, put an 'x' on one side of the egg and an 'o' on the other to help determine which way to turn them. You can also use the dowsing eggs technique to determine gender before wasting time and effort hatching out roosters. Don’t bother saving eggs with defective shells – those that are rippled, dimpled, shelly, or weak. You won’t have much success with incubating them, and worst case scenario, they’ll explode in the incubator and you have no idea how messy and smelly that can be until it happens to you. Make sure the nest that your hen is laying in is clean. Dirty eggs are hard to clean, and can be a major cause of bacterial infection in the incubator. If you don’t need to clean them, don’t. The 'bloom' on the surface of the egg is beneficial at keeping out bad bacteria. However, if you only have a few eggs, you can clean them with warm water. Don’t use cold water as this shrinks the membrane just inside the shell, drawing in bacteria. Run water from the tap until it’s hand warm to wash them, don’t soak them as the shell is actually permeable. Some people use a sterilant such as bleach or egg washing solution, but I never worry too much about completely sterilizing them - the hen sure doesn't concern herself if they have dirt on them. Keep the eggs at room temperature – not in a refrigerator. The eggs should be stored point side slightly down, with the big end up. This prevents the yolk from sticking to the shell. Turn them three or more times a day. They should be turned end over end, not rolled sideways. This stops the connecting string from getting tangled, as well as preventing the chick from sticking to the shell - certain death at hatching time. 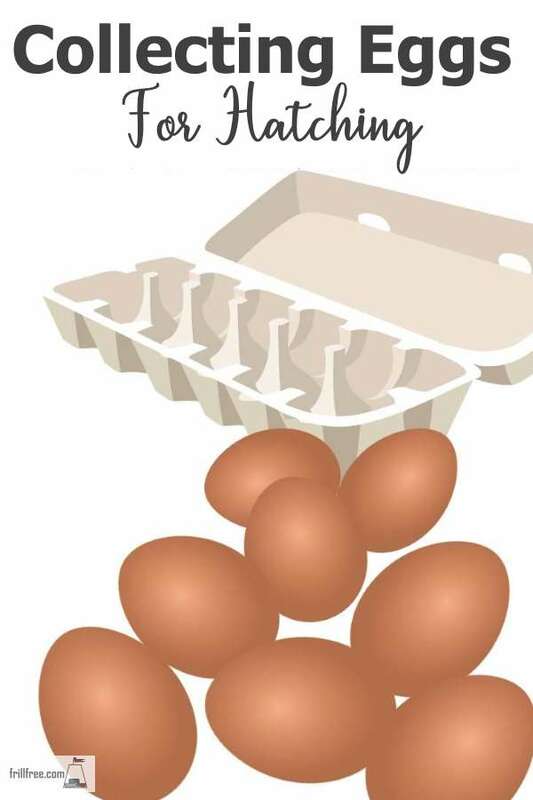 Put them in a cardboard egg carton and lift one end of it up and switch the carton each turn. When you go to set them in the incubator, make sure you have adequately warmed up the incubator. It can take between five hours and two or three days to completely warm up and stay at the right temperature. Still air incubators need to be a little warmer by a degree or two than those with a fan. Rotate the eggs in the incubator once set by rolling them end over end, not sideways. The chorizae, or little strings holding the embryo in place can get twisted if you just roll them. 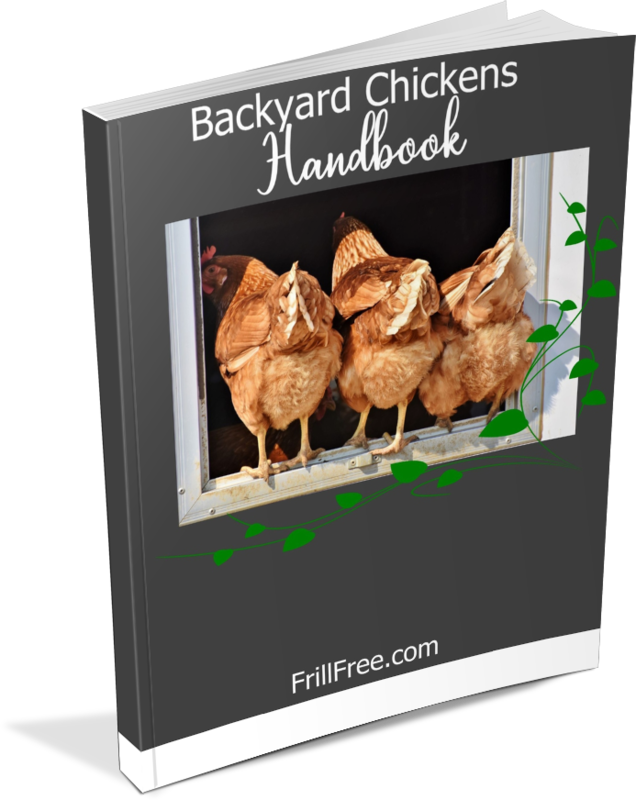 You don’t need to do this if you have a hen incubating them, as she takes care of this. This should be done at about eighteen days incubation, but can be done at any time after about ten days. Practice this technique until you recognize which eggs are fertile, infertile, growing, or dead. 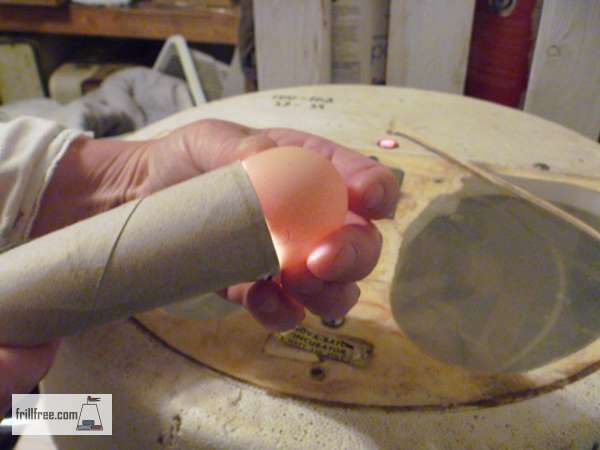 Using a strong flashlight and a tube to direct the beam, shine the light on the big end of the egg. If the egg is completely clear, this means the egg is infertile and won’t hatch. An air bubble at the large end is good, this means the chick is alive and the egg is exchanging air with the outside world. A completely dark egg most likely is partially developed and the chick is now dead – these are the ones that blow up, so handle with care, and dispose of it safely in your compost. Disposing of rotten eggs, defective eggs or dead chicks – these can be disposed of in your hottest compost. Make a well in the center to put them in where the heat will kill any bacteria. Make sure you break the eggs as they will explode later, when you least expect it (when you spread the compost). This is important to do between hatches – clean the incubator immediately after the hatch is finished and you’re sure there will be no more hatching and the chicks are safely with mama hen or in a brooder. Take the incubator outside and rinse off the detritus from the chicks – it’s amazing how much down they shed even in the two days that they are in there. Spray on a 10% solution of bleach on the bottom tray, rinse off in a couple of minutes, and allow to dry completely before storing. Wipe off the lid carefully; don’t get any moisture on the heater or any electrical parts. Store the incubator with the instructions for use if you have them in a dry vermin proof place so it's ready to go next time you have some eggs to hatch.